SmartClass is the education technology platform for K-12, serving hundreds of thousands users in over 10 countries around the world. We provide the industry’s first All-In-One experience with best in-class, secure, and compliant online solutions, including registration and school choice, student information systems, learning management and classroom collaboration, assessment, analytics, and special education management. We empower teachers and drive student growth through innovative digital classroom capabilities, and we engage families through real-time communications across any device. In 2003, SmartClass began it's journey as Mathematics Club in teachers lounge by mission engaged educators to improve education digitalization. Since our launch in 2003, we've helped thousands of students and schools to run their daily operations hassle-free. We're on a mission to use the latest in cutting edge technologies to help make schools run more efficiently and give parents, students and educators a step to higher quality of education. In 2017, after many requests from customers to relocate, SmartClass started to run their operations from it's headquarters in Silicon Valley. Our goal is to improve the K-12 education experience through innovative technology. As a software company, we have a passion for education technology, but mostly for making a difference in the lives and education of students, the motivation and influence of teachers, and the operations and management of administrators. SmartClass boasts over twenty years of innovation, starting as the first web-based student information system, through industry changing user interface and mobile apps, to our all-in-one platform with SIS, HR, Finance and ERP. We have a history of leading the education technology industry in Turkey, and are pleased to now be delivering the first all-in-one classroom experience to empower teachers and administrators, drive student growth, and realign classroom technology. SmartClass was born out of necessity for the problems I encountered over the years as an education fellow. The idea for SmartClass came to me when I was a principal. After, working with different technologies and school management systems, I realized that none of them were comprehensive enough for teacher, parent and principal side. I started using my coding background as a computer engineer and teacher to combine all of these things into one product. Working alongside with parents, teachers and students day to day enabled me to create a school operating system with new technologies to improve quality of education, create an all-in-one ERP and become SmartClass. We're on a mission to use the latest cutting edge technologies to help schools run more efficiently and give parents, students and educators a step to higher quality of education. My goal is to make sure that we're meeting your needs and expectations in school management, and work continuously to improve your experience with SmartClass. If you need any help at all, or have any questions, we here at SmartClass would love to hear from you! Please feel free to reach out anytime. Since we decided to change how schools operate, we have been through a long way. We moved our headquarters office to the Silicon Valley. SmartClass started to be used in Thailand. SmartClass has landed on Malaysia. SmartClass has opened an office in Maryland as its the first official location in the USA. Sev Schools that has 7 campuses including Uskudar American College, SAC American College, Izmir American College started to use SmartClass. Robert College started to use SmartClass. Inci College started to use SmartClass. First time, it was started to be called SmartClass. Thanks to Hamdi Göktaş who named this. Bilisim Courses and later Schools started to use SmartClass. Many modules were developed and tested at this era. 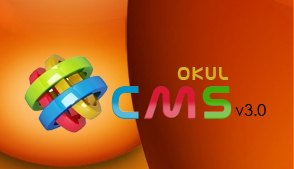 Atek Schools started to use SmartClass as though it was called okulCMS. Students Module was developed to track students. Today, it has a very rich content and you can track almost everything related to students. Users module was developed so that users were able to use the system online. Study Appointments Module was developed for individual study reservations in Ugur Preparation Courses. It was the first serious step for SmartClass. It was started with Math Education Module first. There was not even a name at those days.